Last month a dear friend of mine celebrated 60 years of marriage. I remember him saying not long after that he was still getting to know his wife. What kind of love has that much staying power? What kind of love goes beyond just sticking around or tolerating each other? What kind of love keeps on loving right to the end? This proves that every couple no matter how long they have been together must take the time to break new ground. Not just finding and defining some new characteristic trait or quality about the other, but applying what has been learned to better the relationship and strengthen the bond. Over the past 7 days Brenda and I took the time to talk about our lives together and the direction it has been taking over the past 10 years. Much has been accomplished helping newly married loved ones remain grounded and their households become more functional. We've encouraged them to take an individual assessment of themselves in order to determine if they are really being true to self and to their union. There comes a time when we all must decide to do an about face, look back from where we have come and look ahead to where we are going and adjust the sails and point the rudder toward our intended destination. What else is there but to stand at the helm and drive on undeterred and undistracted until the goal has been reached? The Lesson: Instead of going with the flow, which is so easy to do, we at times have to cut through the oncoming waves. Swim upstream against the tide. Break against the wind. Ride into the storm in order to break new ground. We come out of it realizing that what we thought we had is nothing in comparison to what we now have because of what put into it. 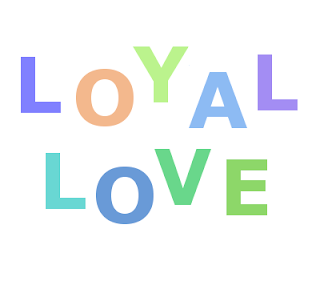 An ancient book filled with conventional wisdom calls it loyal love. What is loyal love? It's the kind of love that is aware that it must be tested. It prepares itself to be tested in order to learn to endure. And as it is tested it seeks to prove itself loyal. With each storm it is like a barnacle that remains attached no matter how fierce the weather. It is like the entangled weeds of the sea. Unshakable. 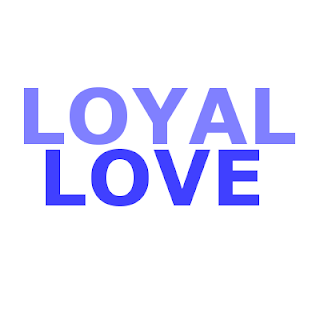 Loyal love holds on in order to complete a well defined task and purpose in relationship to the object of love.